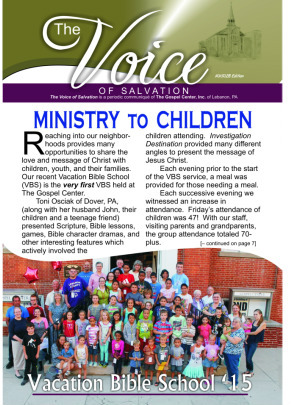 "The Voice of Salvation" is the Gospel Center's official newsletter. New issues are released occasionally throughout the year, allowing us to recap recent events and highlight individual members of the Gospel Center's ministry team. Click on the image to the right to view the full Fall 2015 edition.